Chainsaws are one of the most efficient and versatile tools that are used by homeowners and professional workers alike. Usual painstaking yardwork becomes significantly simpler with the use of this invention. The tool itself has changed and evolved in the past decade, and today small chainsaws are easily found that are instrumental in the home maintenance tasks of average homeowners. View the Best Small Chainsaw for the Money, Below. How to cut down a small tree with a Chainsaw? What can you cut with a small Chainsaw? How to cut small logs with a Chainsaw? No spark plug so no spark plug replacement costs. Batteries are known for their fast charge times. Channels debris and moisture away from the internal design. Push-button oiler makes chain oiling easier than ever. They can be very useful for those who wish to avoid the hassle of sawing by hand and perfect for anyone else who doesn’t want to deal with the hassle of obnoxiously loud machines. 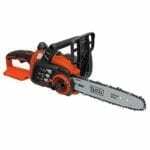 A large part of maximizing the efficiency of this item is finding the best small chainsaw that suits your preferences and needs. If you’re looking to purchase the best chainsaw but aren’t sure what make and model to invest in, you’ve come to the right place. We’ve done the research for you with these chainsaw reviews and guide that can help you to find the right one for you. Tired of getting caught in awkward, tight corners due to the restrictions of the length of a cord? This battery powered tool is ideal for close quarter-cutting, and it excels at getting even the tightest areas. If quaking aspen has been dominating your yard, this is the best chainsaw to round out your collection and prune or clear any unwanted shrub growth. Unlike typical gas options that require tiresome pull starts, this model will start up easily with the start button and sliding safety-lock combination. This model features a noise level that is comparable to a vacuum cleaner, so it is perfect for those who want to keep their yard work on the down low. See more information on BLACK+DECKER LCS1020. Aside from the long-established manufacturer, which has a reputation of being one of the most trusted brands, this tool is extremely maneuverable and will allow you to clear your small yard in no time. Powered by two 18V batteries, this Makita model will give you 36V run-time and performance without having to worry about the battery demand of anything larger than an 18V. This kit comes with a dual-port charger that can charge both batteries efficiently and simultaneously while also ensuring that you don’t have any harmful emissions. With an increased cutting speed and reduced noise level, it is hard to go wrong with this option. See more information on Makita XCU02PT 18V X2. Easy to pick up and go. While this design isn’t as lightweight as the previously mentioned Black+Decker, it offers strong cutting speeds with low volume levels. As far as top-rated chainsaws go, this one may be one of the best 14-inch chainsaw options available. This rugged machine has the perfect balance between user-friendliness and power to complete all of the necessary yard work you encounter. A simple squeeze of the design’s trigger will send it shredding through limbs and saplings with minimum kickback, ensuring that you get a smooth cut every time. See more information on Remington RM1425 Limb N Trim. One of the best parts about this design is how lightweight it is – the user will experience minimal fatigue while taking on some serious pruning and yard clearing tasks. The impressive 40V battery that powers this Black+Decker LCS1240 ensures a long lifespan along with a runtime that lasts up to 5 times longer than competing models. The bar and chain are constantly maintained by the automatic oil lubrication, and the wrap-around bale handle is hard to beat. You won’t have to worry about much kickback from the 12” bar either, which is always comforting to know when using such a potentially dangerous tool. See more information on BLACK+DECKER LCS1240. Maximum comfort provided by the wrap-around handle. Convenient automatic system for oiling. The combination of lightweight design and comfortable grip gives you a lot of control over your cuts, meaning you can keep them smooth and intentional throughout use. The GreenWorks 20312 40V has a reliable battery-powered runtime and an impressive amount of safety features, including its low kickback chain and chain brake that prevents any accidental kickbacks. This chainsaw presents the alternative to gas that many users are looking for along with a brushless motor technology that presents the required torque level without the hassle of the pull-to-start that many gas-powered motors require. The 16” bar is a size that only experienced users should work with. See more information on Greenworks 20312 40V. Once you’ve operated this tool, it will be hard to go back to the trouble of mixing oil and gas. The user comfort that is aided by the minimal vibration makes this machine a pleasure to work with. Tanaka is a brand known for their innovative research and design development in the industry, so high-quality tools are their norm. The TCS33EDTP is no exception. Although this 16” bar is gas-powered, it sports lower fuel consumption than competing machines, which makes it eco-friendlier. This can be used for woodwork, drilling, cutting, metalwork, and many more applications. See more information on Tanaka TCS33EDTP. Less gas consumption and lower emissions. Easy warm-up and start with half throttle choke. The versatility and diversity of applications for this tool make it worth the expense and the sprocket-nose bar for added cut control seals the deal. Engineered for simple maintenance requirements, fast cutting, and easy operation, the UC3551A makes yardwork almost enjoyable. It features a large oil reservoir that allows for continuous cutting without needing to stop in the middle for a refill. There is a current limiter built in to reduce the power that goes to the motor in the event that the saw overloads, making this tool-less blade machine even safer. See more information on Makita UC3551A. Soft grip handle with rubberized comfort. The trigger switch is conveniently large for an easy start. Aside from the generous warranty that Makita is known for, this tool is a decent size and can get everything you need to have done for an affordable cost. This GreenWorks line of 40V battery powered tools offers the versatility of supplying power for many other machine options along with the same battery that charges quickly and efficiently. In short, you can get back to work without waiting forever on the charger. See more information on GreenWorks 2000219. Much less imposing than gas-powered counterparts. Battery can support more than 20 other tools. The 12” bar length makes this tool easy to handle, which plays a significant role in the safety of the user. With 14.5 Amp power and a 16” bar, this Worx tool packs a punch. A single oversized knob works to secure the chain and bar to maintain the tension while you work, which is incredibly helpful for those who use their chainsaw for a lot of the same tasks. This design sports a lot of stability throughout use, even when it is emitting its peak horsepower. See more information on Worx WG303.1. 3-year warranty through the manufacturer. Auto-tension system for the chain assists with tightening. If you hate redoing the tension tightening, the Worx WG303.1 comes in handy by being able to stay at the perfect tension use after use. The 16” bar of this Remington is sprocket-tipped and ideal for nearly any pruning and branch trimming. The durability of this model is unmatched, and it is known to last a long time throughout consistent use. See more information on Remington RM4216 Rebel. Comes with heavy-duty and handy carrying case. Can handle medium to large-sized limbs and branches. Helpful for any suburban homeowner. Although this Remington is the heaviest and arguably the most difficult to maneuver, the ergonomic design makes up for the added weight, and the QuickStart technology is extremely reliable. With all of the different kinds of small chainsaw models and chainsaw chains on the market today, it can be difficult to find the one that best suits your needs, budget, and overall preferences. Before investing in such an important tool, keep the following factors of the best chainsaws in mind. 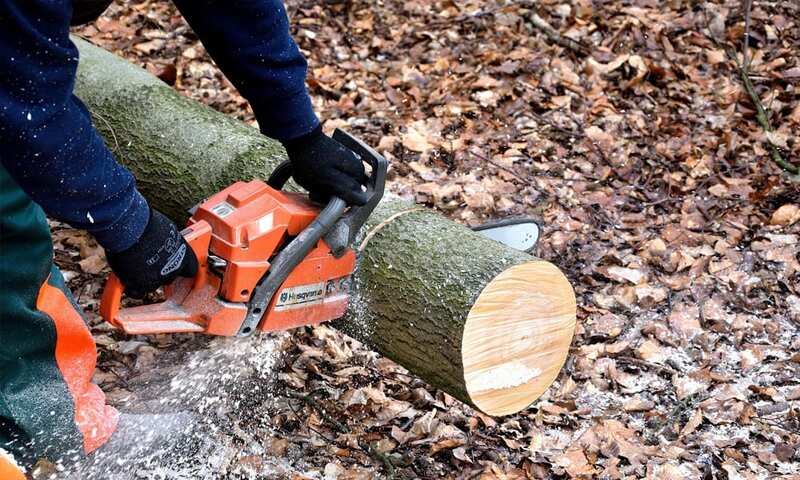 One of the first decisions you need to make is the type of chainsaw that you are interested in buying; each type has its own benefits as well as its own disadvantages. Here are the major types you have to choose from. Being battery-powered comes with all kinds of benefits, from being noise-free, emission-free, to overall just very pleasant to work with. They require no maintenance at all and are extremely portable thanks to their battery power source. However, you do need to keep an eye on their power situation since their batteries will need to be charged between uses. They do have added safety because the battery eliminates any potential cord tripping hazards that one may encounter with corded models. These chainsaws usually have enough power to suit the needs of the average homeowner in their yard work. They don’t require much maintenance if they need any at all, and they produce no emissions. Plus, they are considerably less noise compared to their gas-powered counterparts. This type tends to be easier to carry around and handle due to their smaller size; this design also contributes to their affordable price. There are a few downsides to these, however – because they need to be tethered to a stationary power source whenever they are in use, their portability drops significantly. This type (usually) features a two-stroke engine powered by fuel, making them extra powerful. 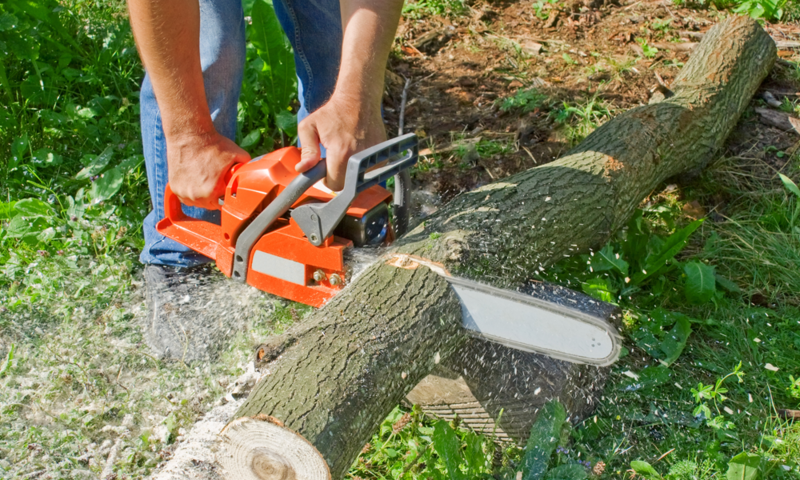 A small gas chainsaw can handle heavy-duty tasks such as cutting medium-sized to larger trees. While their sheer strength is incredibly appealing, they come with the drawbacks of harmful emission release, lots of noise when in use, and a lot of necessary maintenance. As the user, your primary concern should be the safety of yourself and those around you when you are using a chainsaw. Safety features will help to protect you from potential injury while you are using the power tool, such as kickback injury. If you are not super experienced with any type of power tool, it is always recommended to select a model that rates very highly in the safety department in order to reduce the risk of harmful accidents. What amount are you willing and able to spend on this item? Of course, whatever option you choose will need to end up fitting within your budget. Fortunately, there are so many different models on the market that you will be able to find the one that is right for you. The amount you want to invest in this is slightly dependent on the intended use of the chainsaw. For example, if you only want to use the machine several times a year, you are probably better off purchasing a cheaper model. Buying an expensive and more powerful model just wouldn’t make sense for such a small amount of use. On the flip side, if you are looking for a tool that will last you for a long time and work consistently well, consider the more reputable brands that use higher-quality materials for products that perform excellently for years to come. Durability and reliability are crucial for something that you will use all the time. 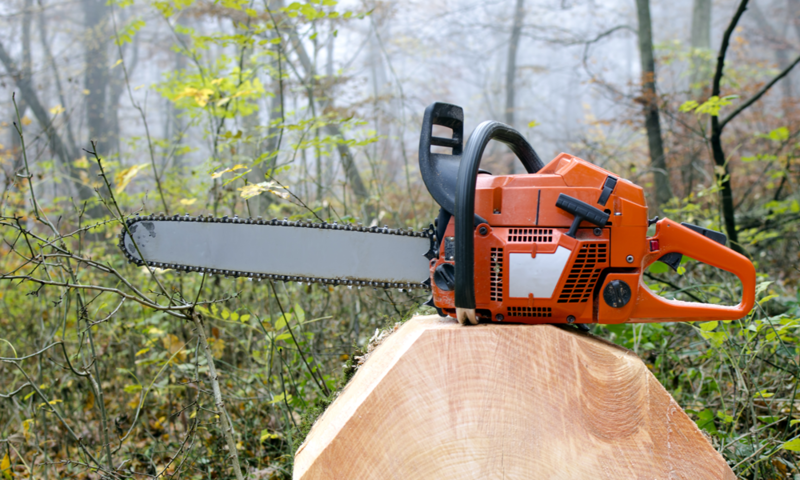 Like we saw when examining the different types of chainsaws, the specific maintenance requirements of a machine can vary depending on the individual type. While gas-powered machines will last for years to come and perform well during that time, they will require a lot of regular maintenance. The oil will need to be changed, the machine itself will need to be cleaned, and overall routine checkups on it will be necessary. If you are looking for something that requires very little or even no maintenance whatsoever, a more suitable option may be an electric or battery-powered tool. You should clear the workspace around the tree, removing any tripping hazards and creating a clear escape route in case you need to get out of the way of your tree falling quickly and unexpectedly. Personal well-being also plays a strong role in this process, so make sure that you rest up and are mentally prepared for the physical work ahead of you. Eat a healthy breakfast and make sure you are awake and alert for the task at hand. Dress properly for safety with head protection, eye protection, hearing protection, heavy duty boots for ankle protection, and any other leg and body protection you may need. After checking to ensure that your tool has been well-maintained, examine the area around the tree that you would like to fell. Inspect the trees around it and make sure you won’t create a domino effect with the first falling tree. Also, make sure there aren’t any structures around that could be damaged by limbs. Once you have an idea of the objects surrounding your tree, you can determine which direction you would like it to go down. If it happens to already be leaning in a direction that also has a clear path, that would be the best scenario. However, if there are objects or buildings in the way, you should consult with an experienced professional to come out and make sure everything happens as safely as possible. If you have a clear path, you can make the face cut – this is the cut that determines the direction that the tree will fall in. Calculate the proper dimensions of the hinge you will create, and then you can start the back cut. You can place a wedge in the cut to assist with directional felling – just make sure not to cut through the hinge! Contact a professional at any point if you feel unsafe or are unsure of how to proceed. Again, this is dependent on the type of chainsaw you are using as some are stronger than others. If you use the right blade, you can cut through metal with your chainsaw. However, most of the time, homeowners tend to use these tools to prune their yards and trim any unwanted shrubbery or other growths. These machines are very powerful and can handle cutting down trees and cutting all the way through logs if you are in need of that; you just need to make sure you are prepared. When making your own firewood or cutting logs for any other reason, you need to make sure you are following the steps properly. Gear up with the necessary safety equipment, clear your workspace, and always remember to have good posture throughout the process. When you are ready to begin, you have the options to lay the log fully on the ground, supported on both ends, or only supported on one end while the other is in the air. The first option is the safest and simplest method, but as long as you are careful, the other two can also be completed safely. 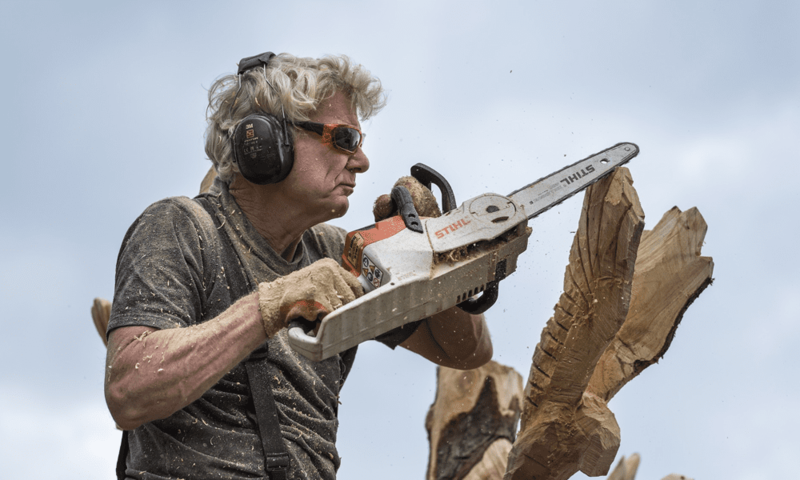 What one person may consider as the best chainsaw might not be the same for you, so choosing your ideal tool should not be something decided rashly. Before limiting yourself to a specific manufacturer and a specific model, you should make sure you thoroughly look over all the different factors listed above. Ultimately, you are the only one who knows what exactly you need. Industry professionals and online small chainsaw reviews can help to point you in the right direction and give you some pointers, but the internet can’t read your mind and automatically know what exactly you plan on using the machine for as well as how to fit it within your budget. If you’ve never used one of these machines before, you should go for a model with less than 18” of guide bar – you may even be good with a solid 12” bar. The 20” bars and larger should only ever be used by an experienced user and industry professionals. There are models of this machine that are perfectly suitable for environmentally sensitive areas. Choose an emission-free model, like a battery-powered type or an electric type, for places where you want to avoid harmful emissions. We hope you enjoyed our article on "10 Best Small Chainsaws in 2019", if so, please share and rate it.